Jared Polis takes the oath of office Tuesday morning. 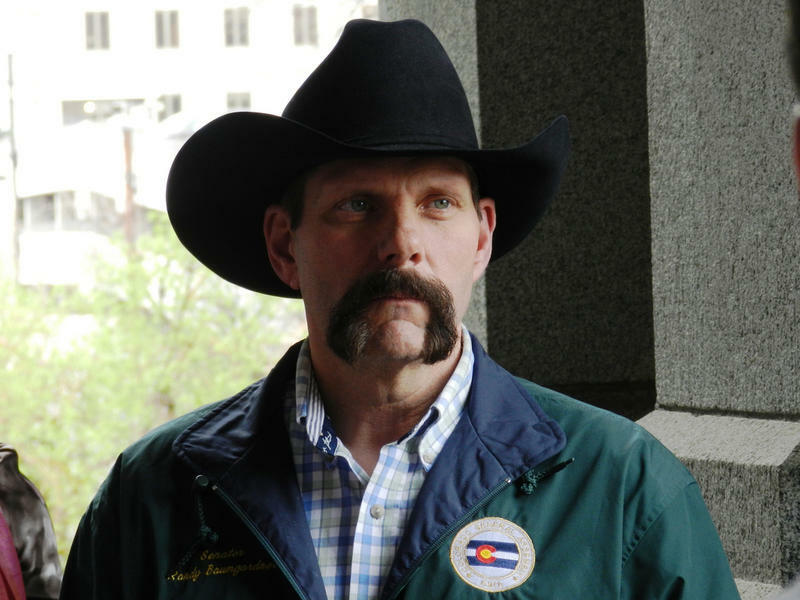 He is Colorado's 43rd Governor. Members of the 101st Army Band and the Denver Gay Men’s Chorus provided the soundtrack for the peaceful change of power. Highlights from the inauguration of Gov. 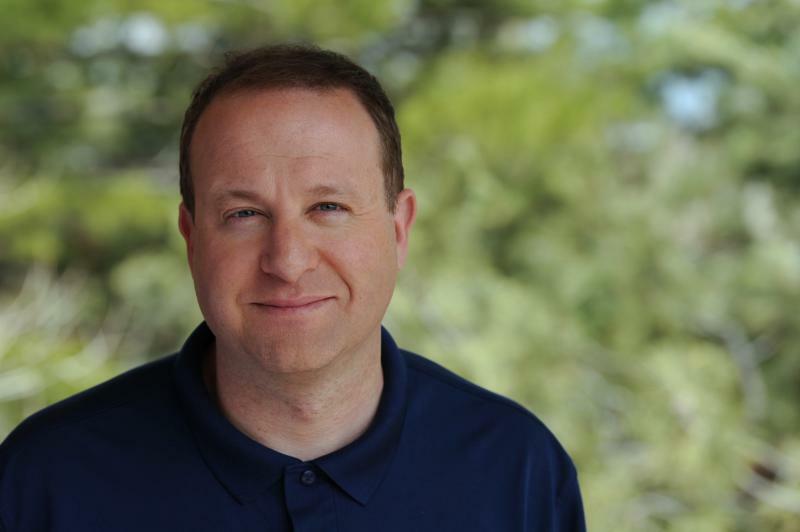 Jared Polis. 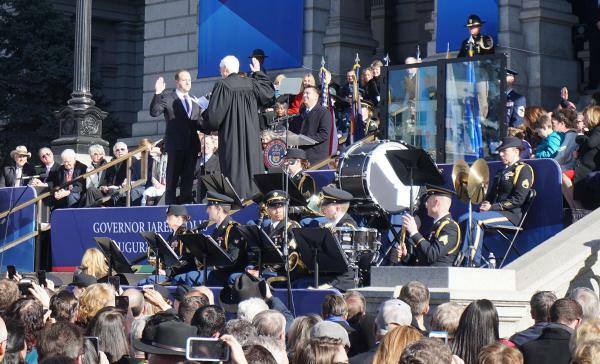 Ten minutes before 11 a.m. the area around the Capitol went completely silent as a crowd of lawmakers, ex-governors and other dignitaries prepared to witness the inauguration of Colorado’s 43rd governor, Jared Polis. Throughout the ceremony on the west steps, janitors and other workers who were stuck inside the Capitol building took breaks from their work to press against the third story window just below the gold dome. They caught glimpses of the action and the thousands of people who had gathered in Civic Center Park. 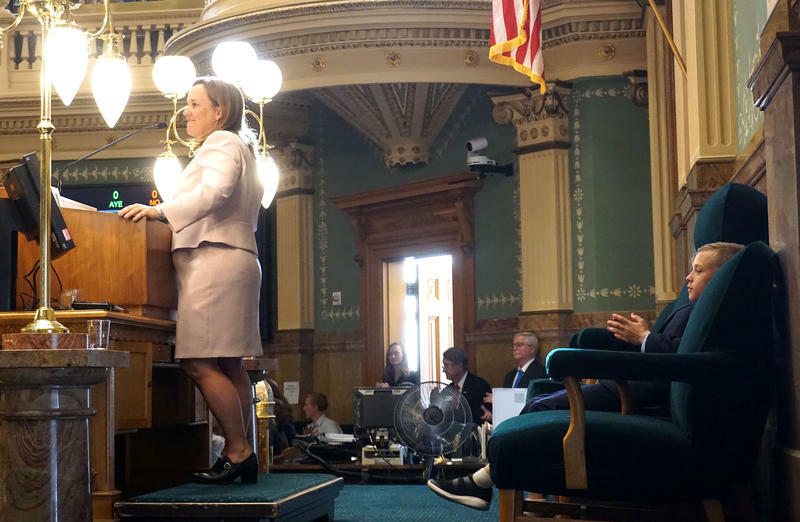 There was the speech from Colorado’s outgoing governor, John Hickenlooper. 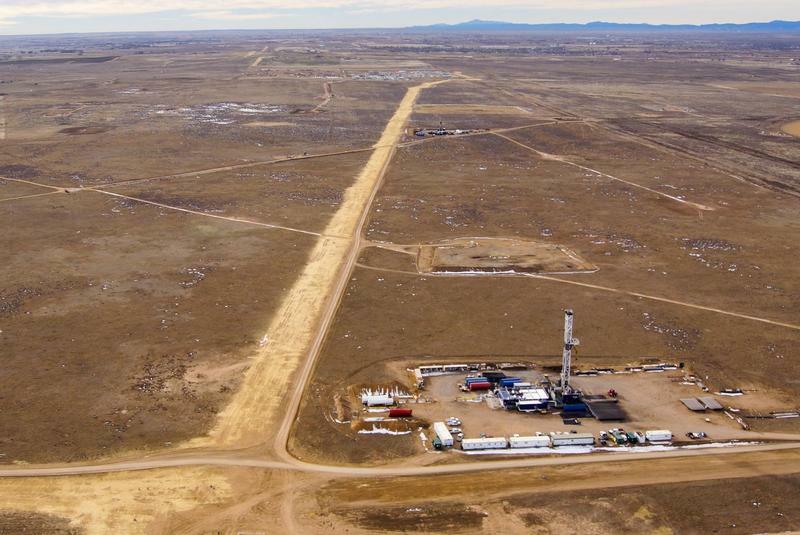 Hickenlooper talked about the challenges he had to overcome during his tenure, including devastating floods and wildfires. And he had nothing but praise for the new governor. “One last time, giddy up!” Hickenlooper said before he left the stage and passed the baton to Polis. Watching all the action on a big screen TV on Lincoln Street was Maria Dearman. She came from Centennial to watch her niece sing in the choir before the inauguration. Standing near her was Matthew Bell, who was a member of then-Congressman Polis’ youth advisory committee. Polis took the oath of office shortly after noon. His partner Marlon Reis held the Bible as he was sworn in. After a volley of cannon fire, the brand-new governor paused to take a selfie. Then he outlined some of his broader goals. “And now we will get to work,” he said, his voice competing only with the whir of a news helicopter buzzing behind skyscrapers in the background. The honks and heavy traffic that normally create noise on the streets around the Capitol were gone because the roads were closed. Polis’ speech didn’t include many specifics. Those are expected to come Thursday when the governor gives his first State of the State address to lawmakers. Then came the flyover of military jets. Not long after the ceremony, lawmakers were back at work: lines formed at the security stations around the Capitol and the new governor was preparing for his first press conference.